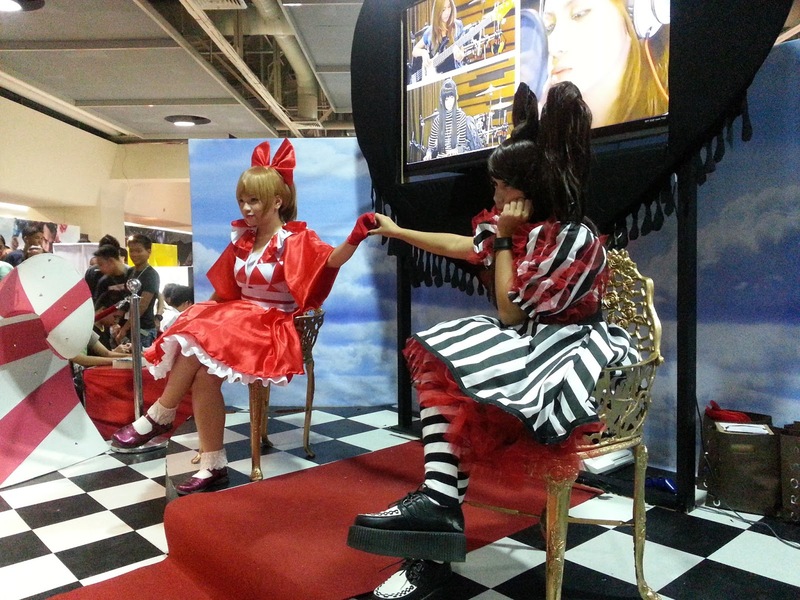 I was at the 12th Philippine Toys, Hobbies and Collectibles Convention 2013 [ToyCon] last June 15 to 16. I had a Question and Answer Challenge with Cosplay Prints as Prizes from 12 noon to 1 pm on the 15th! I'd like to thank everyone who joined the short program that I offered. The cosplay photos that I had printed and gave away at the Question and Answer Challenge. The prints were limited and I didn't sell them at the event. 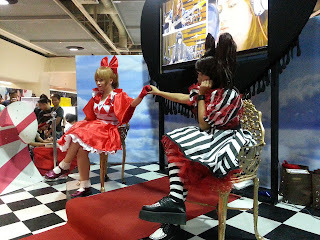 After holding the Question and Answer Challenge, I went around a bit - visiting The Glam Shoppe's Booth and Dorotee Sweetlips' Booth then went back to Alodia's booth to organize the que for the Photo Op and Signing. Thanks to everyone who cooperated with us on both days! 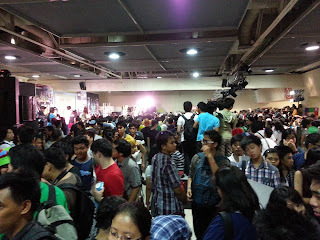 I took a photo of the crowd during Alodia's stage time at TOYCON. I also dropped by at MozillaPH's booth. Thank you for the Mozilla Firefox goodie bag! With Ashley, Alodia and the Anime Alliance team! Red Oriental Dress and Headband by Dorotee Sweetlips, Contact Lens by The Glam Shoppe and Red Choker/Necklace from Toxic Kitty. 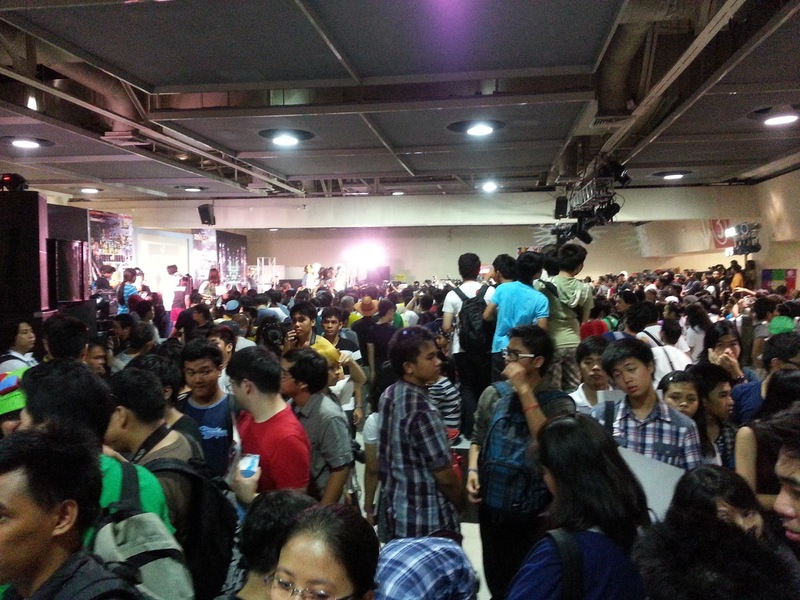 congrats for the success of TOYCON2013.. KUDOS! ..